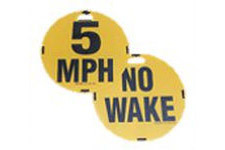 These double-sided hand held signs are especially useful for controlling vessels during boating regattas or marine events. 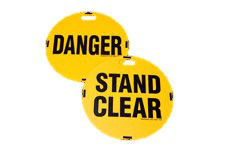 Features bold lettering affixed to corrugated plastic. 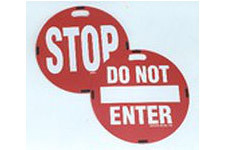 For storage, signs are connected together by hook and loop fastening.